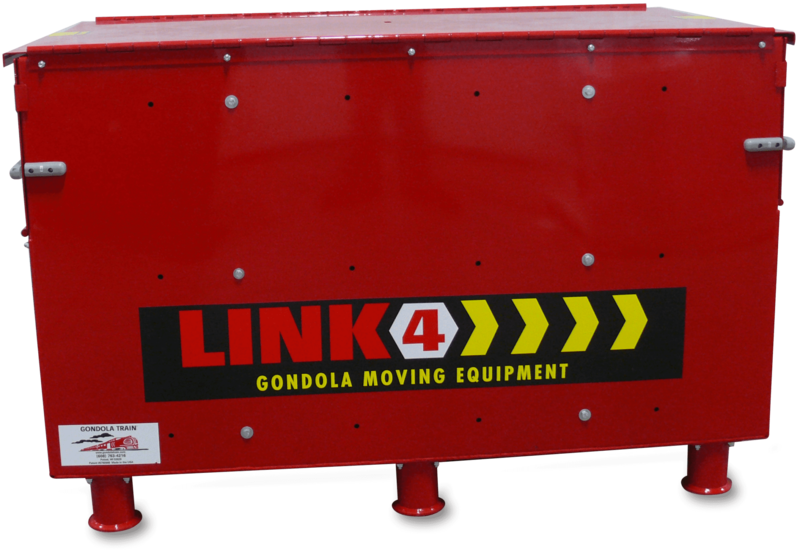 The Link 4 Gondola Moving System is designed and configured to work with your current gondola shelving system. 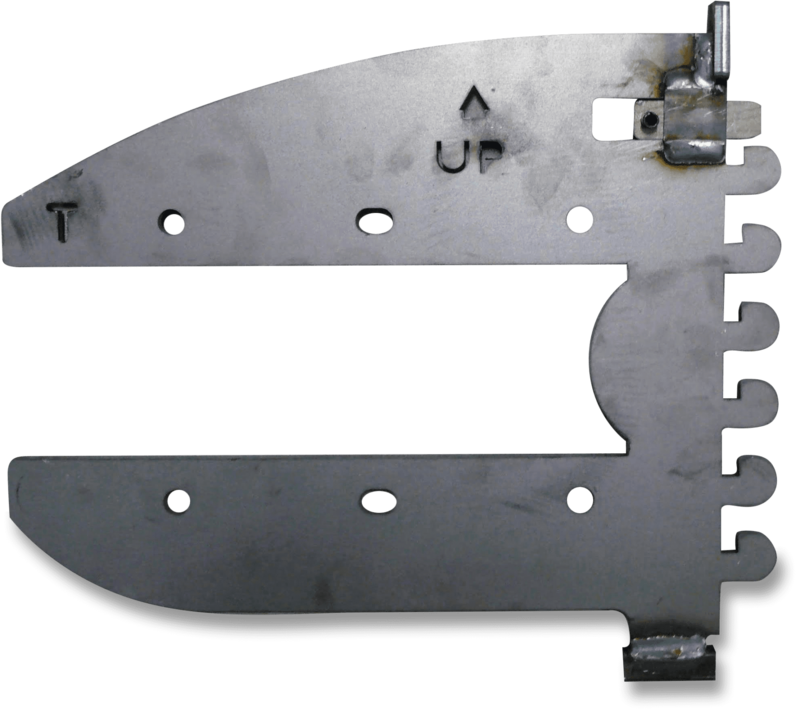 Its unique lift brackets are available for a variety of fixture brands and the “bolt-on” design permits a quick change between the fixture brands. The Link 4 Gondola Mover reduces your costs while increasing efficiency during relocations, remodels, and resets of fully merchandised store shelving. Especially convenient for moving grocery store shelving or similar retail store shelves. Connects to the Lift Jacks and Lift Fingers. Connects to the Link 4 Lift Arms and engages with the fixture. A variety of styles are available to fit multiple brands of shelving. Push Handles are used to guide the fixture while moving. *Required on Aurora version of Link 4. 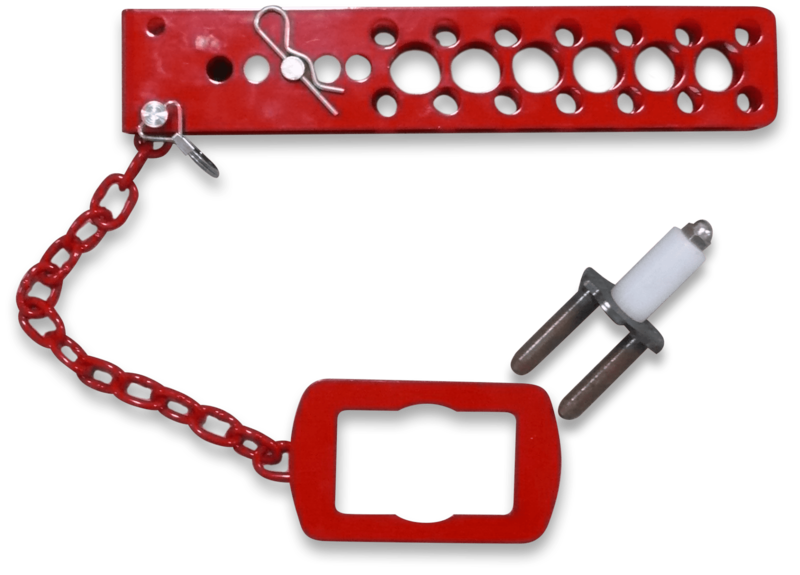 Connects to the Lift Arm and is used to help stabilize the unit. 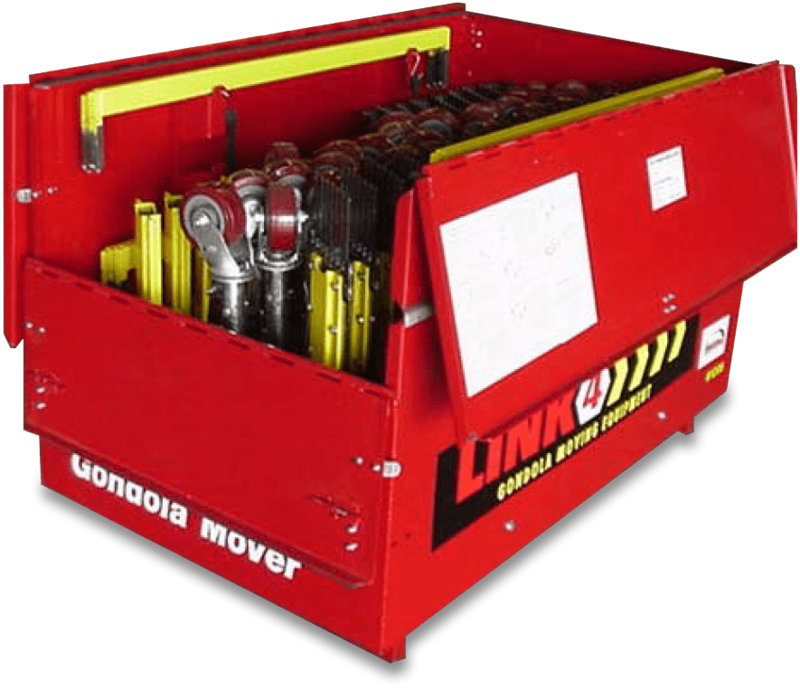 The Portable Job Box is designed to securely pack the Link 4 system for shipping, storage, and ease of use on the job site. The Gondola Train link 4 system has made our life (maintenance) so much easier. We had to move all the shelves a block at a time to put in new carpet. The link 4 system made this possible without unloading all the books and dismantling all the shelves which would have made for a least 2 months work where the link 4 system cut the time in 2 weeks. I would strongly recommend to any library the Gondola Train link 4 system for moving your shelves.